A mere two sleeps after getting home from Dartmoor, and I was off again, riding my by now “usual” trains up to Penrith. With a flexible return ticket in my wallet, that was about the extent of the formal planning for this trip. Nearly at the end of the Wainwrights, maybe it was time for a little spontaneity. To get it all done while the weather looked ok.
None of the routes that I’d come up with quite had what I was looking for. 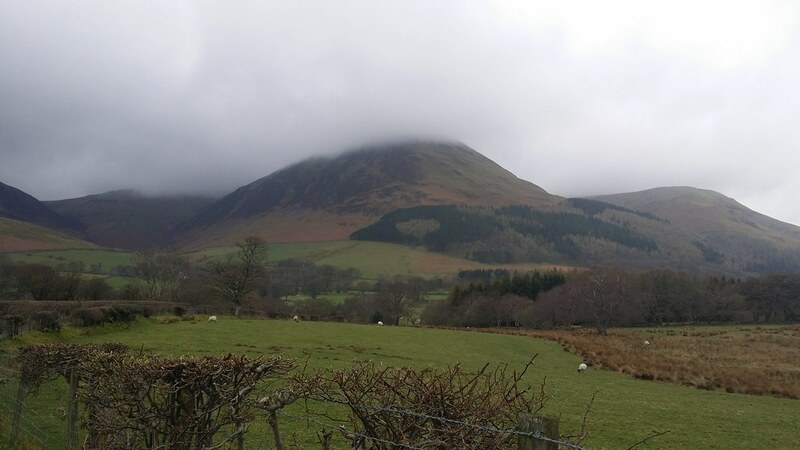 My first attempt involved starting from Ravenglass, working my way up through Wasdale and over towards Loweswater and Buttermere. Then I tried reversing the route. Then I looked at starts from Borrowdale, Buttermere or Langdale. I got sufficiently fed up with my failure to find an optimal route that I simply gave up and decided to make it up as I went, relying on the loose planning I’d attempted to help me make decisions on the trip itself. On the train, I looked over the note I’d made of bus times and made a decision based purely on where the bus could get me earliest, which in this case was Lorton. Energised by having made some sort of decision, a well-practised routine got me from the train at Penrith to the X5 and then the 77. Dropped off at the Wheatsheaf in Low Lorton, the start of walk faff didn’t take long, as I’ve learnt to do as much of that as possible in the intervals waiting for buses or on the buses themselves. All that needed doing was turning on the various GPS devices, shouldering my pack and setting out. A short way along the road towards Buttermere I met the road that would become a track that would take me around the base of the fells to the point I’d climb up to the summit of Fellbarrow. An easy way to gently gain a bit of height. 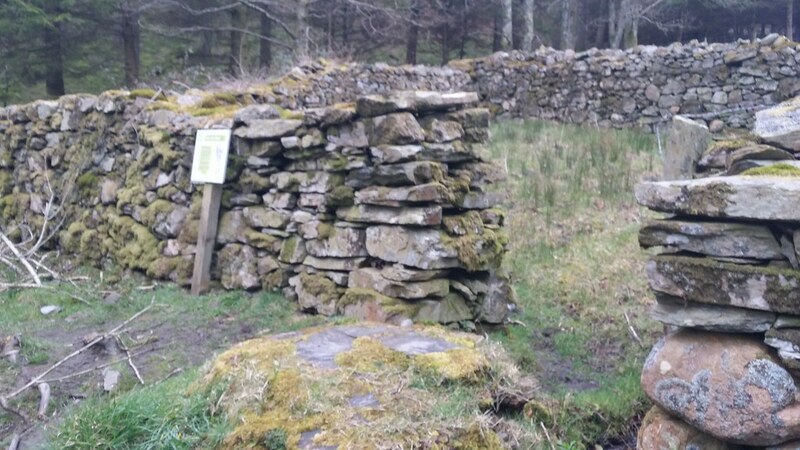 A few false starts while I worked out which of the various field boundaries to my left marked the point I’d want to turn off, but in the end it was easy – a path between two stone walls that took me an obvious way onto the fell. With a grassy dome looming on the right, I climbed up alongside a fence and over some false summits to Hatteringill Head, a Birkett sufficiently convenient to be worth a brief detour. 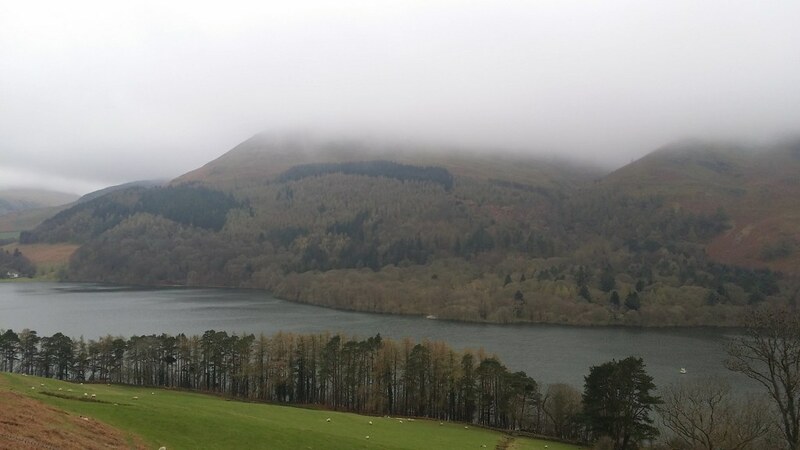 To the south, shrouded by mist lay my real target – Fellbarrow. 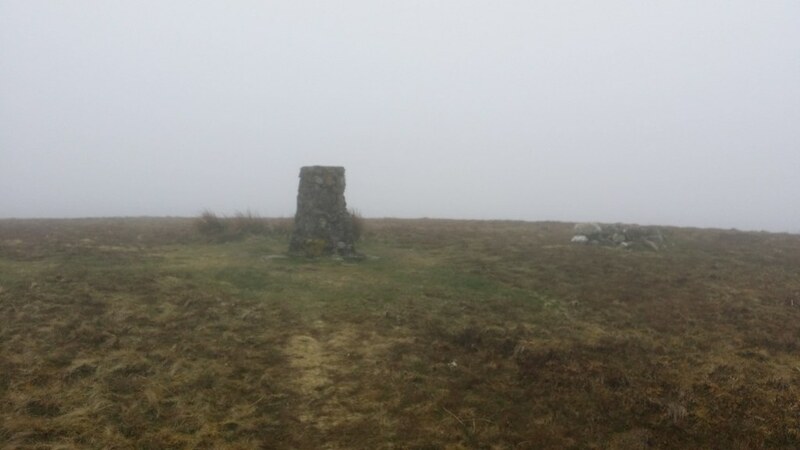 A slightly more direct route across the depression and soon I was at the corner of the fence by the summit cairn and trig point. 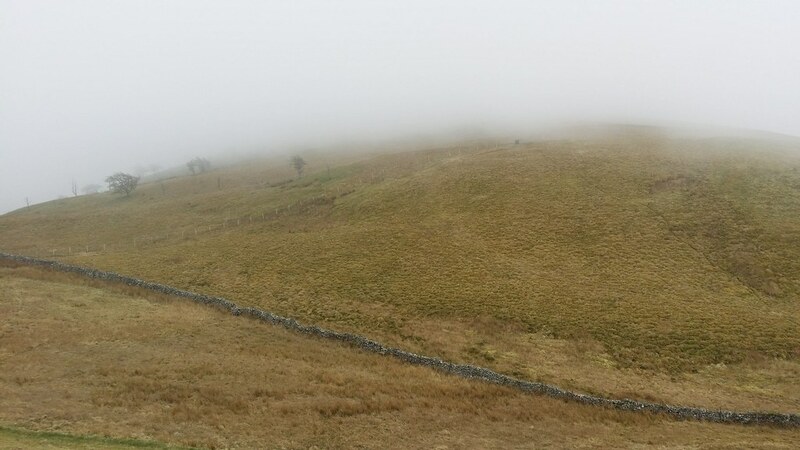 Despite fences providing nice handrails through the mist, the compass was still useful to get me to the path I needed to take me over Smithy Fell and Sourfoot Fell to Low Fell. 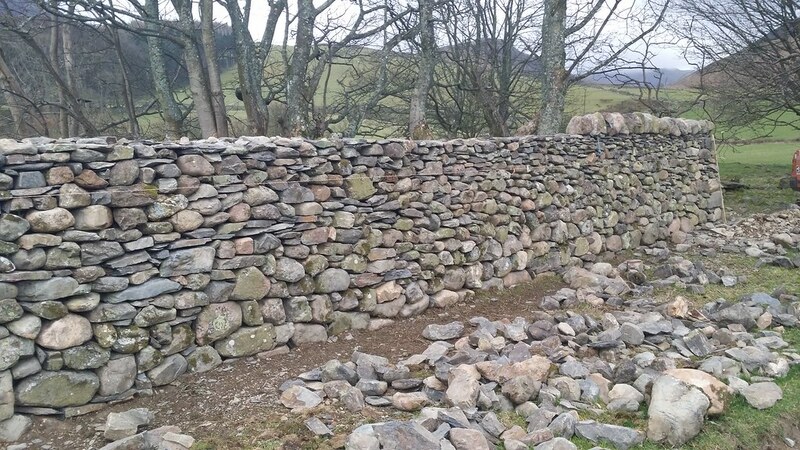 A few more false summits before I topped out. This was a day when the reassurance of gps and digital mapping was very welcome. I headed south to find the secondary summit and then found myself lured into what appeared to be a descent straight off the southern face of the fell. Hey there were cairns and a path that clearly wasn’t just made by sheep. Fortunately a look at the compass when things started to feel not quite right, showed that the path had swung round to take me first east and then north – ie in completely the wrong direction. At this point I couldn’t even blame the mist which was above me. I retraced my steps the short way I’d strayed and took a line down to Crabtree Beck and a more certain way off the fell. Going wrong seems to affect my motivation on a walk, and even though I’d caught it early, nevertheless I was keen to finish for the day. 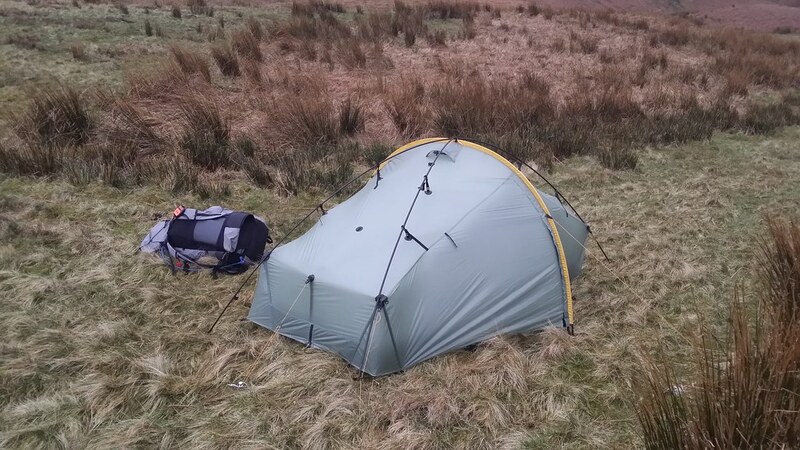 Subconsciously looking around for a suitable pitch, but I made myself forge onwards – I had enough daylight to get me onto the next group of fells, and the opportunity to camp somewhere I’ve had on my list for a while. 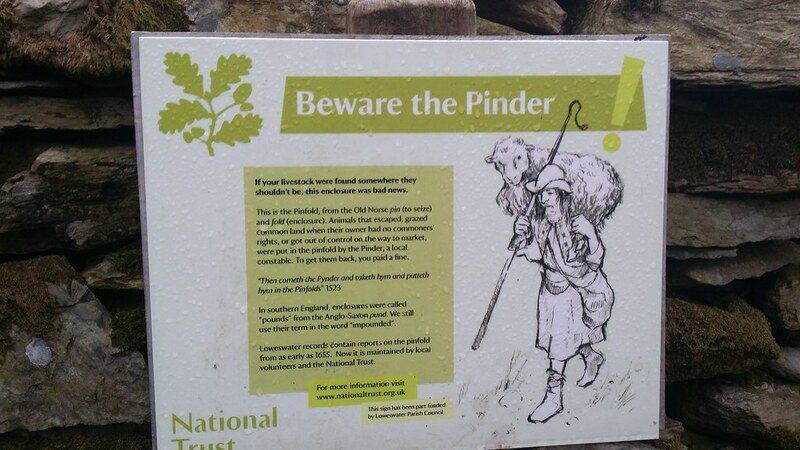 I reached the road and dawdled along it, stopping to look at the Pinfold, then reaching the southern end of Loweswater and the turning for High Nook Farm. 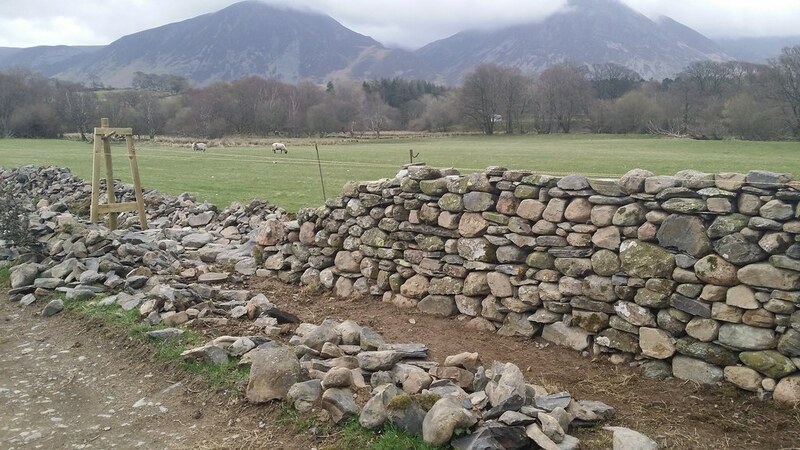 I walked through a pastureland of sheep and some very nice and neat bits of dry stone walling in progress. 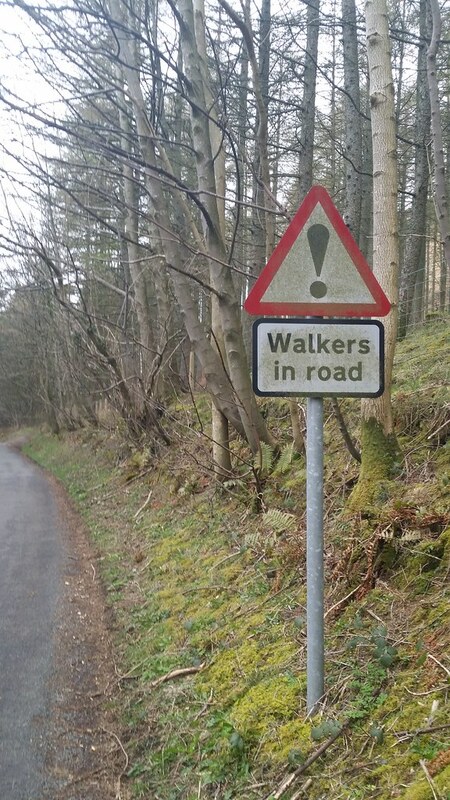 As I neared the farm I was conscious that I was heading the “wrong” way for a walker at that time of day, and my target was, no doubt, on the farm’s land. Accordingly I walked quietly through the farm yard and tried not to be too obvious. 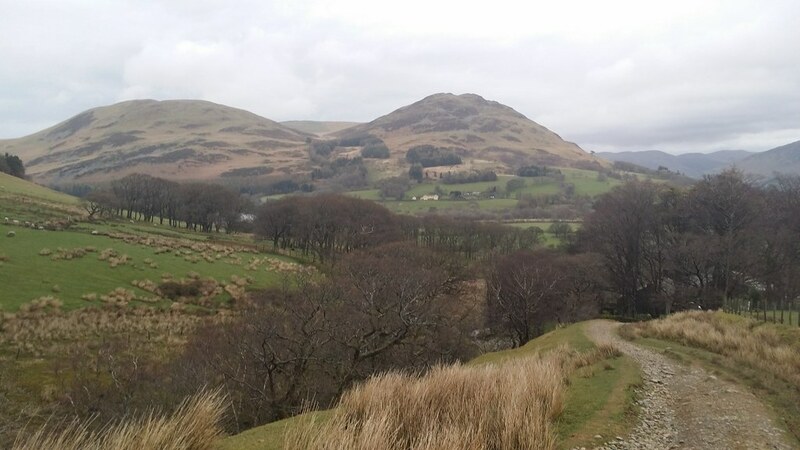 I climbed up the track with Carling Knott looming on my right and a more gentle ridge of Gavel Fell on my left. 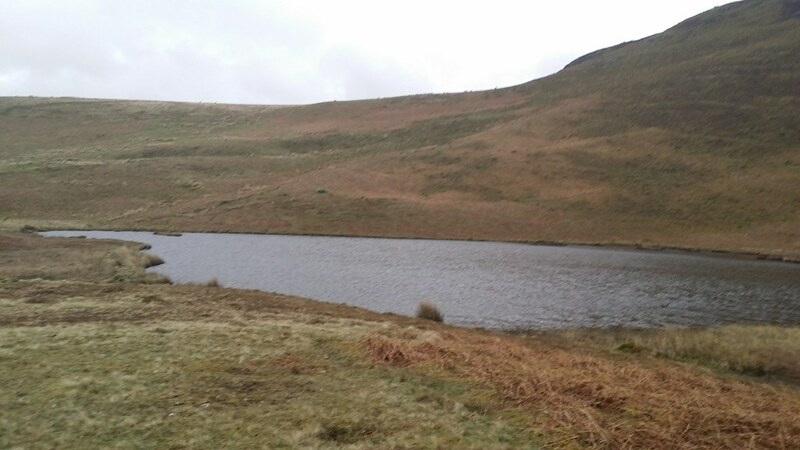 Soon I was approaching the tarn and exploring to find somewhere suitable. A bit of toing and froing before I settled on a flattish patch of grass where I hoped some of the edge would be taken off the wind. It did mean sacrificing being right by the tarn, but seemed a more comfortable option. Up went Monica and I set about dinner, one of my remaining stock of Fuizion Chicken Jalfrezi. The usual issue with this – no matter how much I attempted to break up the pieces, no matter how well I judged the amount of water, I was still left with some crispy chunks. I retired to bed and to think about the next day’s walk.